This review will address the current literature available regarding complications after intravesical Bacillus Calmette-Guerin (BCG) therapy for bladder cancer. Topics include intravesical BCG therapy–related complications, role of BCG therapy in immunosuppression, and future directions in the context of BCG-related complications. There are several new reviews and case reports discussing unique complications following intravesical BCG therapy that should raise awareness of possible short-term and long-term effects after using this common treatment modality in bladder cancer patients. Since intravesical BCG is a common treatment option for non-muscle invasive bladder cancer and can cause a variety of complications, it is important to recognize this aspect of the patient’s history when evaluating patients who present with symptoms similar to the ones discussed in this review. This will allow for prompt delivery of treatment as well as preventing unnecessary morbidity and mortality. Kamat AM, Flaig TW, Grossman HB, Konety B, Lamm D, O’Donnell MA, et al. Consensus statement on best practice management regarding the use of intravesical immunotherapy with BCG for bladder cancer. Nat Rev Urol. 2015;12:225–35. https://doi.org/10.1038/nrurol.2015.58. Macleod LC, Ngo TC, Gonzalgo ML. Complications of intravesical bacillus calmette-guerin. Can Urol Assoc J 2014:8(7–8):e540–4. Doi: https://doi.org/10.5489/cuaj.1411, 540, E544. Bilsen MP, van Meijgaarden KE, de Jong HK, Joosten SA, Prins C, Kroft LJM, et al. A novel view on the pathogenesis of complications after intravesical BCG for bladder cancer. Int J Infect Dis. 2018;72:63–8. https://doi.org/10.1016/j.ijid.2018.05.006. Gonzalez OY, Musher DM, Brar I, Furgeson S, Boktour MR, Septimus EJ, et al. Spectrum of Bacille Calmette-Guerin (BCG) infection after intravesical BCG immunotherapy. Clin Infect Dis. 2003;36:140–8. https://doi.org/10.1086/344908. Colombel M, Saint F, Chopin D, Malavaud B, Nicolas L, Rischmann P, et al. 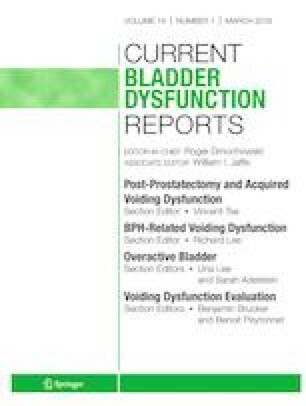 The effect of ofloxacin on bacillus calmette-guerin induced toxicity in patients with superficial bladder cancer: results of a randomized, prospective, double-blind, placebo controlled, multicenter study. J Urol. 2006;176:935–9. https://doi.org/10.1016/j.juro.2006.04.104. Kusakabe T, Endo K, Nakamura I, Suzuki H, Nishimura H, Fukushima S, et al. Bacille calmette-guerin (BCG) spondylitis with adjacent mycotic aortic aneurysm after intravesical BCG therapy: a case report and literature review. BMC Infect Dis. 2018;18(1):290. https://doi.org/10.1186/s12879-018-3205-7. Gao CQ, Mithani R, Leya J, Dawravoo L, Bhatia A, Antoine J, et al. Granulomatous hepatitis, choroiditis and aortoduodenal fistula complicating intravesical Bacillus Calmette-Guerin therapy: case report. BMC Infect Dis. 2011;11:260. https://doi.org/10.1186/1471-2334-11-260. Ziegler J, Ho J, Gibson IW, Nayak JG, Stein M, Walkty A, et al. Disseminated Mycobacterium bovis infection post-kidney transplant following remote intravesical BCG therapy for bladder cancer. Transpl Infect Dis. 2018;20:e12931. https://doi.org/10.1111/tid.12931.